Rowan's Well has won a coveted Chill With A Book Readers' Award! More success for "Fitful Head"... and it's not even published yet! 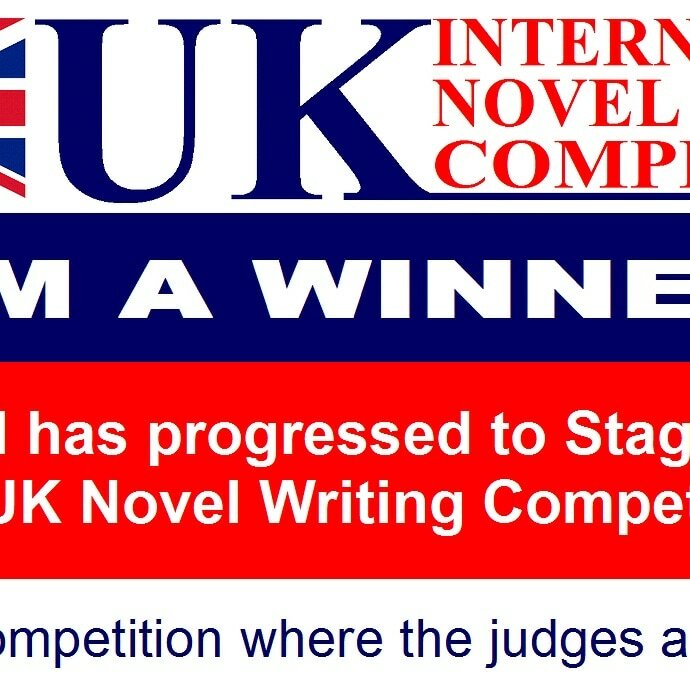 From 3112 entries worldwide, "Fitful Head" has made it to the final 25 novels in the UK SCC Novel-Writing Competition. Watch this space for more news on this in coming weeks. ​Pulp Idol Firsts goes to press! 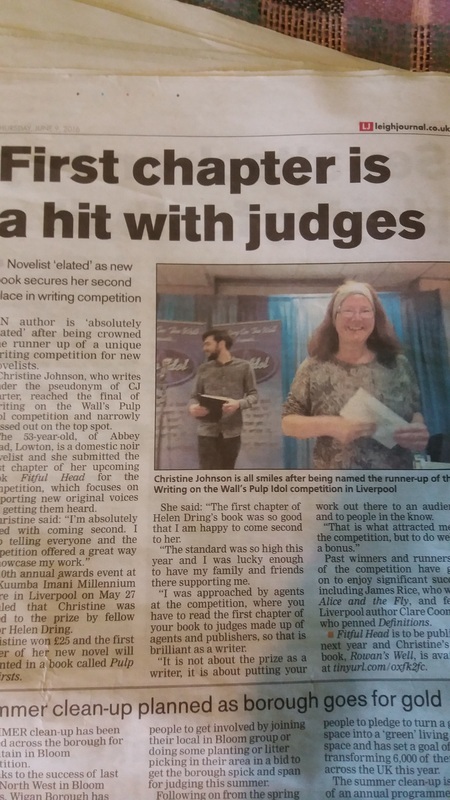 I've won second prize for Fitful Head in the international Writing On The Wall Pulp Idol first chapter competition! At the Final on May 27th, twelve finalists had to read their first chapters to a panel of judging agents, publishers and authors, and answer their questions about the work. Incredibly nerve-racking but so thrilling when they announced me in second place. Look out for an anthology due in December of all twelve finalists' first chapters. It'll be called...you guessed it... Firsts. ​Want to hear me reading the first chapter that won the coveted Second Prize? Bay TV Liverpool's "About Books" show invited me along to talk about "Rowan's Well" and my soon-to-be-published novel "Fitful Head". The conversation ranged from fathers to ghosts, from the joys of self-publishing to the wisdom of giving up gainful employment to dedicate oneself to writing. Clue: it isn't wise...don't do it. My interview is about 11 minutes into the show, though the first feature is interesting too. ​Bay TV liked my interview above so much, they asked me back as interviewer! And here's my interview with Mary Clinton on a blustery balcony at FACT in Liverpool city centre. The picture quality isn't great, but the sound's fine. Treat it as a radio interview! I'm guesting at Mary's Reading Group Coffee And Books event at Waterstones, Birkenhead on Tuesday 26 April 6-8pm. Come along and get your copy of "Rowan's Well" signed... or indeed buy a copy. Click the button to read the article... and see a sneak preview of the book cover for my upcoming novel "Fitful Head"